Nope, not really, and yet…. I have to admit I do enjoy the shopping experience at Costco and I’m finding that they just keep on increasing their organic, vegetarian and vegan options every time I go. Of course you can find endless, gargantuan bulk packages of fruits, vegetables, nuts and spices—obviously all great ingredients for vegan recipes. (Before I changed my diet to plant-based, I always wondered why you want to buy huge packages of 8 red peppers or 12 apples or 5 pounds of anything!) For the fruits and vegetables alone, Costco is now always a shop stop for me. Costco keeps going in the right direction…here are some unprocessed, bulk items with long shelf lives (in the fridge) that I was excited to see…all staples for your kitchen! C&F Foods, Nature’s Wild Grains, Premium Black Chia Seeds, 32 oz package $14.99: Rich in antioxidants, high in protein, fatty acids, omega-3’s, calcium, potassium, iron and fiber. It is an ancient superfood of the Mayans in Mexico and Guatemala and is mild enough in flavor to add to many recipes. 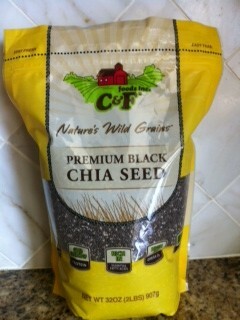 I like to add chia seeds to smoothies, hot and cold cereal, salad dressings, peanut or almond butter. Chia has been touted as a great diet food because it absorbs and retains water or any liquid and bulks up, making you feel full. It also sweeps through the digestive tract and can help with irregularity. There have been claims that chia can be beneficial to people with the following ailments: weight loss/balance, thyroid conditions, hypoglycemia, diabetes, IBS, celiac disease, acid reflux and high cholesterol. 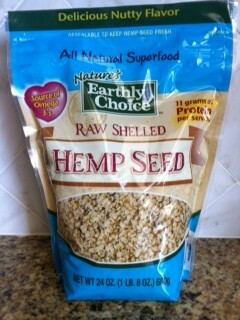 Earthly Choice, Raw Shelled Hemp Seed, 24 oz package $10.89: Rich in proteins (11 grams per serving of 3 tbs), iron, zinc, phosphorus and magnesium,, omega-3’s. Also an ancient super food, hemp is considered one of the world’s most nutritious plants. 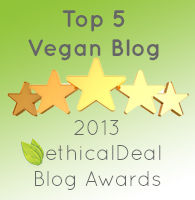 Hemp seeds contain all of the essential amino acids making them an ideal source of protein for vegans. Similar to the chia seed, help seeds have a mild flavor that makes them ideal to add to recipes, smoothies, salads, cereal and muffins. Adding hemp seeds to your diet has helped people suffering from immune deficiency diseases, it is purported. C&F Foods Inc., Nature’s Wild Grains, Premium Organ Quinoa, 4 lb package, $9.69: Quinoa, the latest darling of vegans, is the ancient grain claimed as “the gold of the Incan warrior.” By now, everyone knows about quinoa! High in protein (6 grams per 1/4 cup dry serving), containing all the amino acids you need, high in fiber, iron, lysine, magnesium, B2 and manganese, quinoa seems to belong in everyone’s diet! Debby also has a Costco vegan shopping list and here are some of her previous suggestions…Debby’s Costco ideas. Once you get all three of these big bags home, what to do with them? 1) Whisk chia seeds and 5 cups water in a pitcher; let sit until seeds soften, about 10 minutes. 2) Add lime juice and sugar and stir until sugar dissolves. Add more sugar to taste if sweeter limeade is desired. 3) Fill glasses with ice; divide lemonade among glasses. Click here for some more recipes using chia seeds. 1) Place hemp seeds in a food processor and grind till they’re powdery. 2) Add basil and pulse to combine well. 3) Add salt, pepper, lemon, garlic, and pulse again. 4) With the motor running, add water in a thin stream, as if you were making a nut pate. Stop once in a while to scrape the bowl. Keep adding water until the pesto is still quite thick, but not pasty. 5) Keep motor running, and finish the pesto by drizzling in the 2 tbsp EVOO. This isn’t necessary, but it’ll give the pesto a more traditional mouthfeel and flavor! 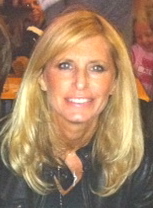 Enjoy shopping, cooking & eating! Yes, I agree that Costco is moving in the right direction! These recipes look simple, yet awesome. I think I’ll start with the Hemp Pesto. I have bulk bags of all the different types of seeds sitting in the fridge. I agree, too. Costco is my fave store (I do the bulk of my shopping there). Everytime I go it seems like Costco has a need vegan product. In fact, last time I went shopping I bought some vegan shoes. Totally made my day! I saw the Barefoot Vegan Shoes there but I didn’t buy them. Maybe I should have. Nothing like a bargain! 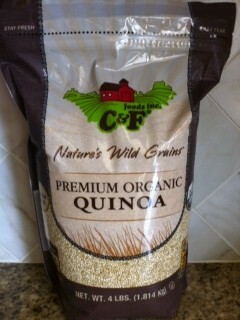 sorry forgot to say it is the Natures Wild Grains premium quinoa that Costco carries for 11.99 four pounds. Each region gets to choose what they sell. NONE of these items are available in Nevada. I gave up my Costco membership a long time ago because local stores were discontiuing &/or refusing to carry products that are vegan. What a shame! I would think that a Vegas Costco would choose to carry vegan products. Maybe submit a request to them. Costco on Charleston and 215 in Las Vegas DOES CARRY this product and it is 11.99 for 4 pounds! Awesome price! Costco is not moving toward “Veganism”…they are simply offering more healthy and nutritional, as well as organic foods. This is a benefit to anyone, not just Vegans. Why do vegans feel like nature’s great foods only belong to them? The vegan world is filled with such bad and politically misguided misinformation. It is really sad.